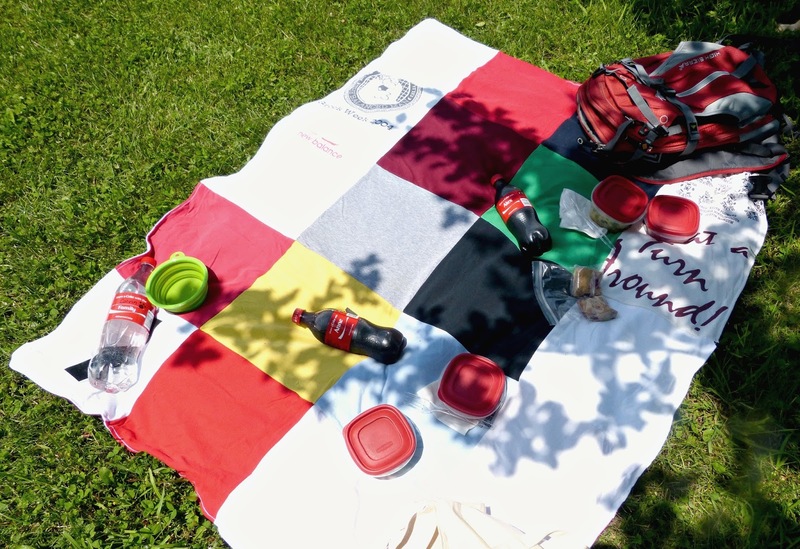 A Squared: My Coke Happy Hour: Cheers to Summer in Chicago! 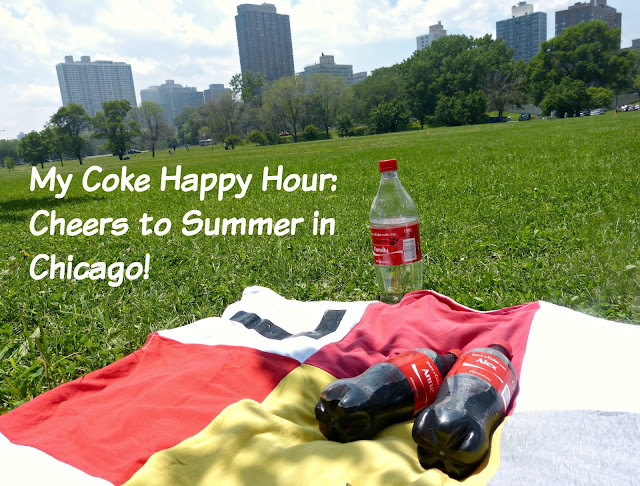 My Coke Happy Hour: Cheers to Summer in Chicago! Summer is a very special season for those of us that live in Chicago. We suffer through months of subzero temps, inches on inches of snow, and blistering winds just to get to the few fleeting weeks of summertime. Because summer in Chicago is just that good. Chicagoans know that summer is over in the blink of an eye, so we take this season seriously here: taking advantage of every sunny day and everything that this city has to offer-- And my little family is no exception. Nothing makes me happier than waking up early on a Saturday morning, packing up a few essentials, and making the long walk down to the Green City farmers market with Alex and our puppy Clery. Green City is an enormous farmers market open every summer Wednesday and Saturday in the heart of Lincoln Park. 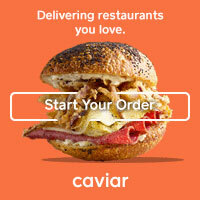 As a foodie and locavore, I absolutely adore shopping around this bustling market and meeting local farmers. After a trip to the farmers market-- or sometimes straight from our house-- we like to walk through the park to edge of Lake Michigan. 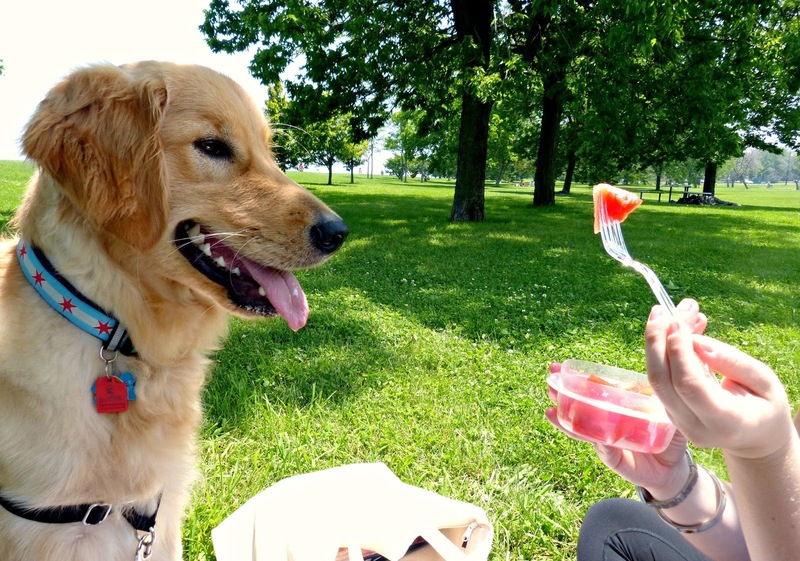 A picnic in the park is a great way to wind down, enjoy some food and conversation, and soak up some much needed sunshine while we let Clery run wild for a bit. I always pack a few snacks and we have our goods from the farmers market too but I find that the simpler the food, the better for a picnic: easy to pack and snack foods like chips and pretzels are great, fresh cut summer fruit like watermelon or a few apples from the farmer's market, and something hearty (that won't spoil) like an orzo salad with veggies in a vinaigrette dressing are perfect for a summer picnic. 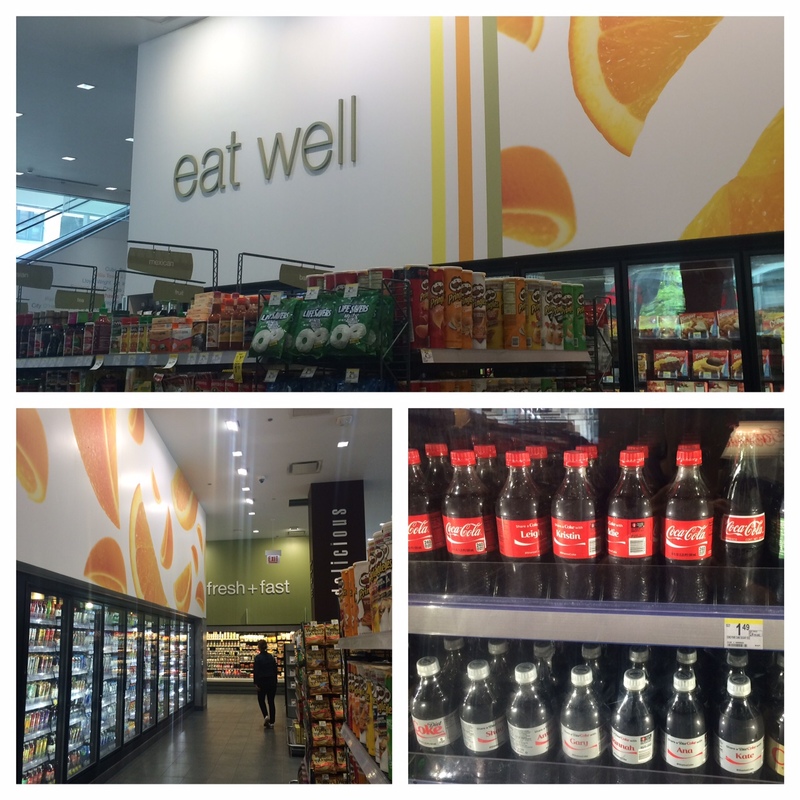 And we never leave our block without hitting the Walgreens downstairs to stock up on picnic essentials like sunblock, beach towels, sweet and salty snacks, plastic flatware, and of course, a few cold Cokes on our way out the door. 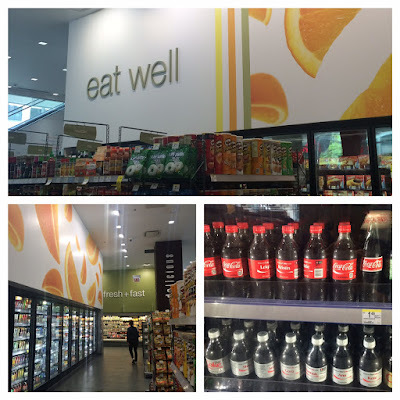 Walgreens is my go to store for on-the-go purchases and I find myself popping in all the time-- picking up a birthday card on the way to a party, a dozen eggs when I'm in the middle of baking, and random household necessities like toothpaste and paper towels on my way home from the office. And since it's summertime in Chicago (and there is no happier time), this is the perfect time to share a Coke with friends and family! 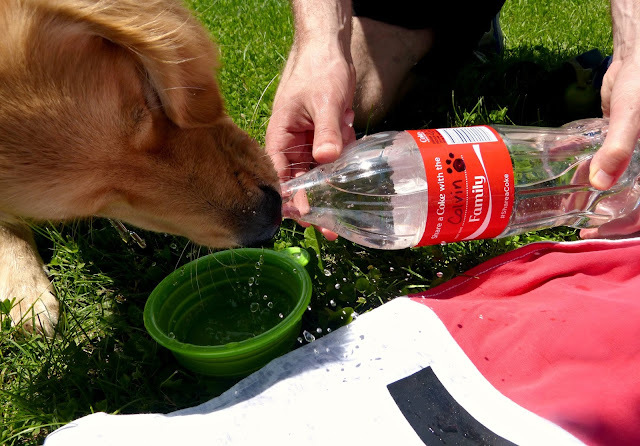 We like to grab a few ice cold Cokes (personalized with our names, of course) to enjoy during our walk and for later on our picnic too. These bottles are so much fun-- they're great for sharing and a perfect way to personalize any picnic or event. How cute would these be as place cards on a picnic table at the next barbecue you are hosting? 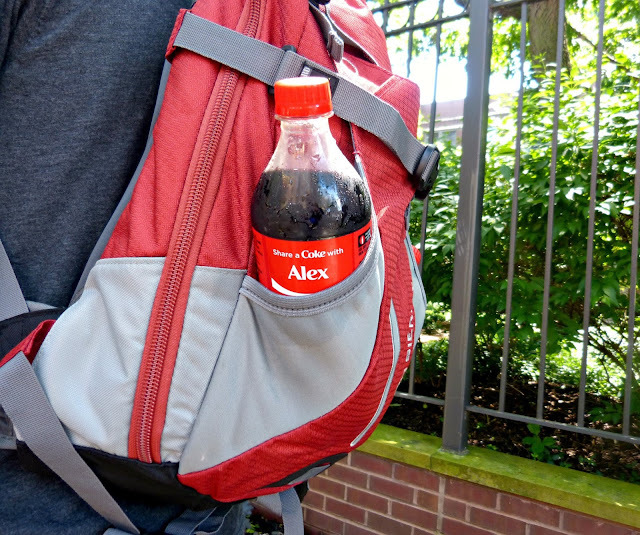 Or how excited would your friends be if you opened a cooler at the beach and presented each of them with a cold Coke personalized with each of their names? I should also mention that we never leave Clery out of anything we do as a family. So we fill up an empty Coke bottle with ice cold water for an easy and recyclable way to hydrate Clery on the go. Coke and Walgreens make it easy for you to put the "happy" back in Happy Hour and this is most definitely my happy moment: enjoying this gorgeous city with my favorite human and my favorite dog. It's simple, but it's the truth. There's no place I would rather be! 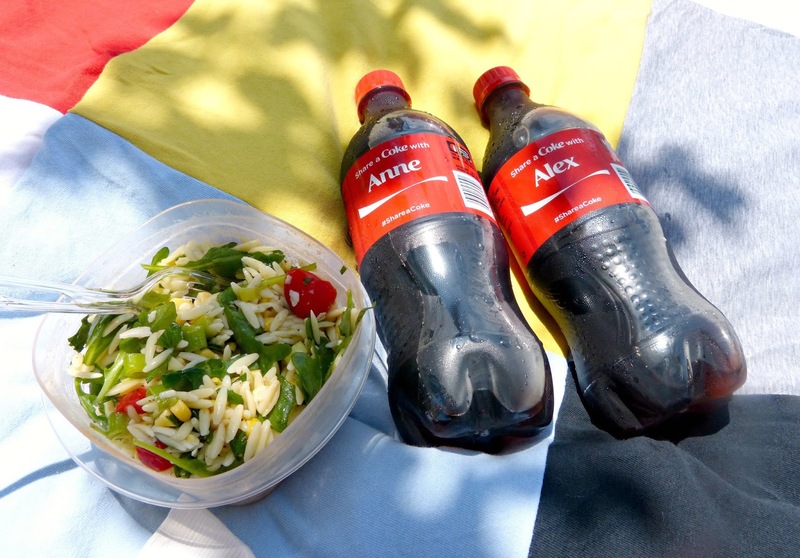 Summer is the perfect time to get out and enjoy life and your favorite people... so, who will you be sharing a Coke with this summer? It's such an easy way to tote water around for him!